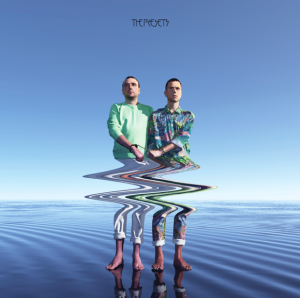 It’s a big day for fans of Aussie dance duo The Presets. Not only have Messrs Hamilton and Moyes been announced as part of the national Parklife festival this morning, but they’ve also revealed the title, cover and release date of their brand new album. ‘Pacifica’ is the band’s follow-up to the ARIA Award-winning, three times platinum smash ‘Apocalypso’ and is due to drop in mid-September in three formats. One of these is a limited edition vinyl for the true fans. It’s set to be released in a 12″ case complete with a lenticular cover and will be limited to just 1500 copies worldwide. According to the official album presser, ‘Pacifica’ sees The Presets “venture into new uncharted musical territories”, delivering “both light and shade in energy and emotion”. Produced by Julian and Kim, the album was mixed in Los Angeles. ‘Pacifica’ will be released on Friday September 14. Can I please say “finally”? We’ve been waiting for this for ages now.